Many lament the lack of a graphical editor for Postgres but it does ship with a very powerful CLI editor in psql and spending a little time learning its ins and outs can make you very efficient. You can pack a lot of logic into Postgres if you choose to with the use of Postgres functions. And while not always the easiest thing to read and reason about in part because variables were named by position, as of several releases ago there is a better option for naming variables in functions. You need to know about performance issues before your end users do. 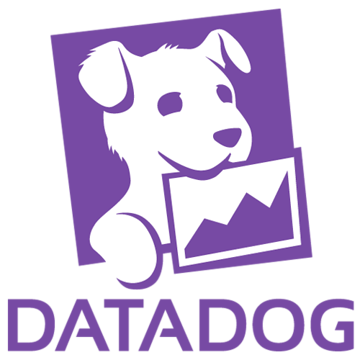 With Datadog's turnkey Postgres integration, you can start collecting metrics in minutes, graph them alongside custom application metrics, and implement sophisticated alerts. Sign up for your free trial here! At some scale data in a single table in Postgres will reach limits. For most applications this is never a problem, but if it is there’s a number of options. Table partitioning isn’t necessarily ideal, but it can get the job done. Greenplum, a massively parallel processing database, is one of many databases that starts with Postgres then builds and extends on it. It’s now fully open source so if you need it you can take a look and give it a spin and possibly even contribute. Many times it makes sense to have the same validation at your database as you do in some higher level framework, or maybe you want to use the database directly. Here’s a nice example that shows a bit what’s possible with rails counter_cache as an example. Postgres has a laundry list of features that sets it apart from other databases. In part two of the series check out a long list of awesome functionality including it’s indexing types, CTEs, and much more. If anyone needs to be persuaded to try Postgres this should do it. A library for performing functional style queries on Postgres from Elixir. Want to spend less time job searching? Apply to the best startups in 60 seconds. If you’re accepted, startup decision-makers will email you as soon as next Monday. You decide where to interview and where to work. Now open in SF, NYC, and remote. Join the Underdog.io platform today!